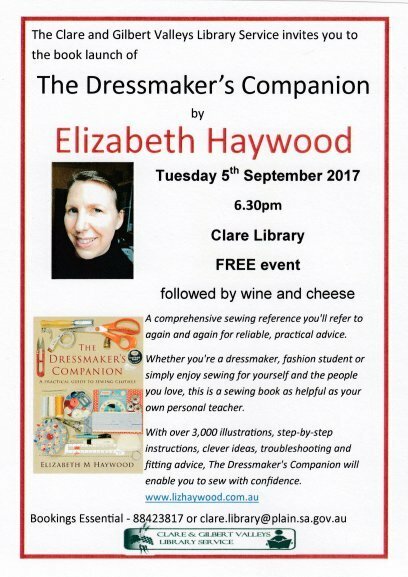 Our wonderful library has booked me in for my very first author talk on Tuesday 5th September. As most of us do when planning an important occasion, I thought: I wonder what I’ll wear? Should I make something new or wear something I already have? Bright colour to stand out. 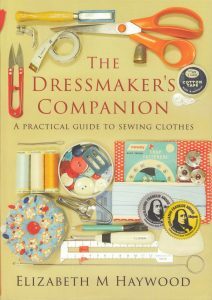 Must have made it myself since I’m promoting a dressmaking book – otherwise it would be like a chef inviting you around to dinner and serving takeaway. Got to look smart, professional, together, like I know what I’m talking about. Style needs to be a bit creative/interesting (so everyone thinks I’m creative/interesting). 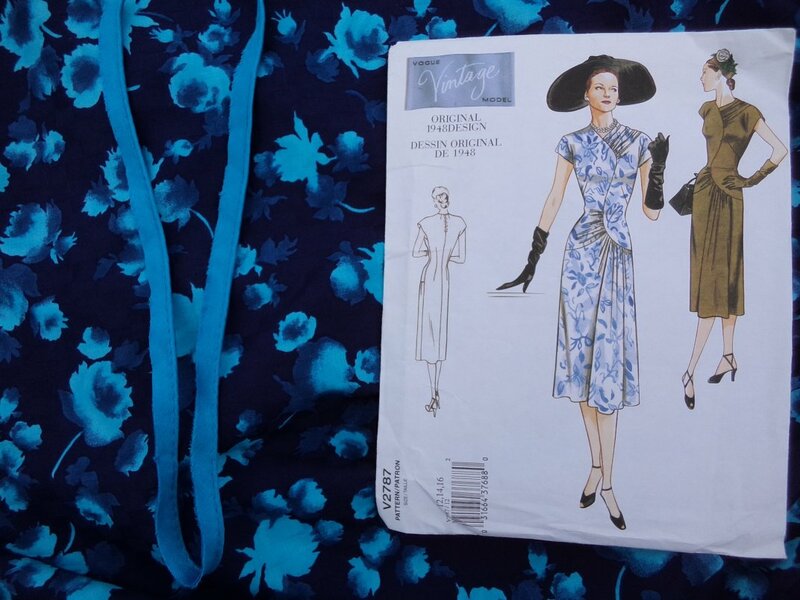 The first one is a dress using Vogue 2787. The fabric is from the 1960’s time capsule (view the whole thing on this Pinterest page). 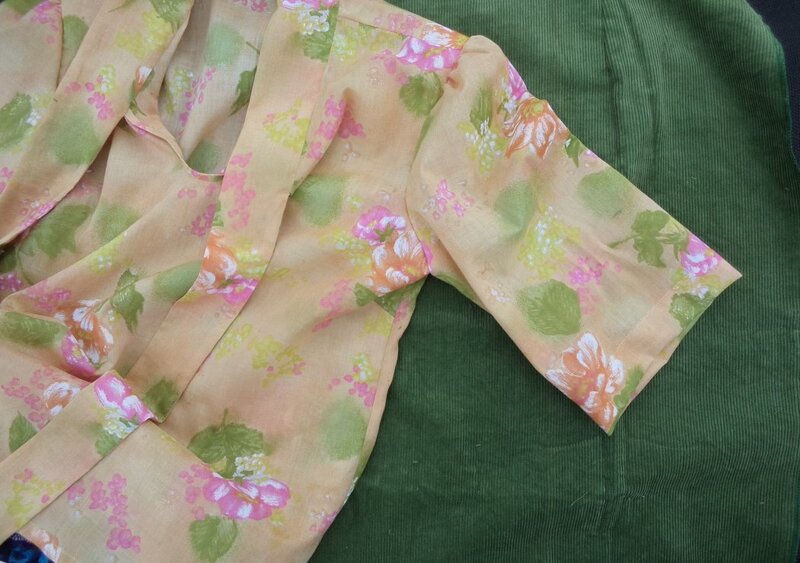 This fabric is over 50 years old but it feels brand new! 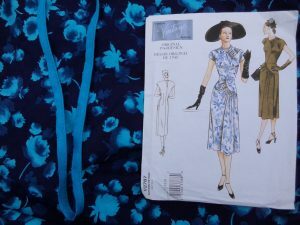 I found some perfectly matching aqua satin piping to define the front curved seam. Very happy with how this pattern is coming together, and the fabric is beautiful to sew with. I cut up a second fabric from the time capsule to make a blouse. I had thought to use it for Vogue 2787 but it’s a bit thin, and then I saw it next to some green corduroy I had lying around. They went together very well and there was just enough corduroy for a pencil skirt. Isn’t the fabric pretty? The blouse is nearly finished and I’ve just started the skirt. 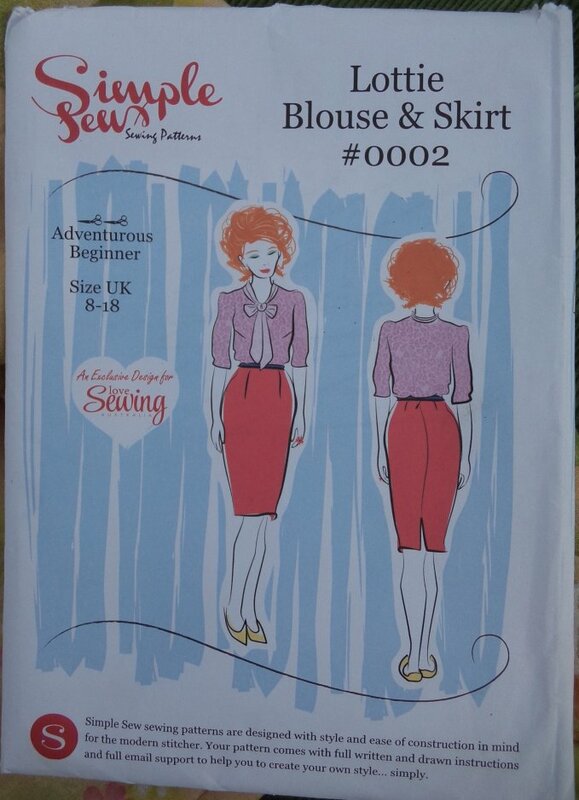 The blouse pattern came with a Love Sewing magazine last year. I’ve made it once and tweaked it for a good fit on me. It pulls on over the head so there’s no buttons etc. I’m using a different skirt pattern (my own). If you’re in the Clare Valley area, I’d love you to come to my author talk. 5th September, 6.30pm. It’s a free event with wine and cheese to follow. Book by phoning the library on (08) 8842 3817. I’m selling copies of The Dressmaker’s Companion on the night for $60. How exciting for you Liz that your first talk is about to occur and your published book will be available! Well done on your amazing achievement. Looking forward to seeing you in your new creation on September 5.